Professor Dr. Surin Phitsuwan; late secretary-general of ASEAN spoke about Thai society and ASEAN on December 20th, 2016. Home > News > News > Professor Dr. Surin Phitsuwan; late secretary-general of ASEAN spoke about Thai society and ASEAN on December 20th, 2016. “… Do not stop learning. 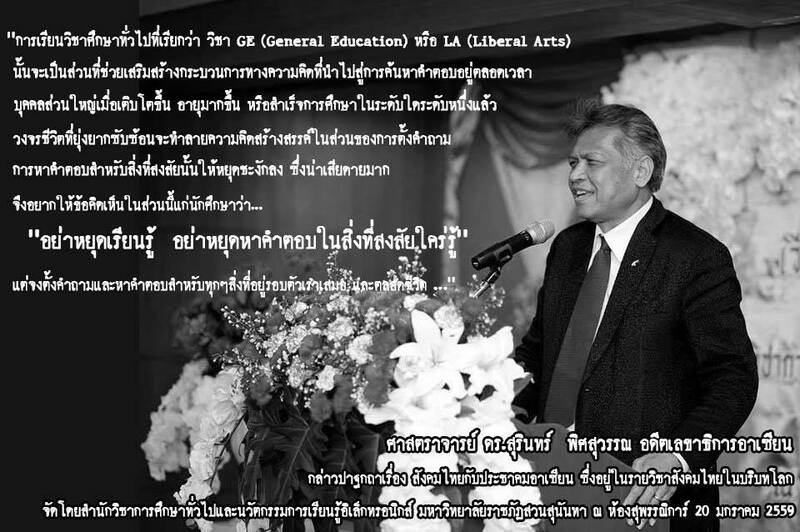 Do not stop searching for interesting unrevealed answers and Do question and answer about everything for all of your life time…” said Dr. Surin Phitsuwan; late secretary-general of ASEAN spoke about Thai society and ASEAN on December 20th, 2016.